I have so enjoyed learning about this species. 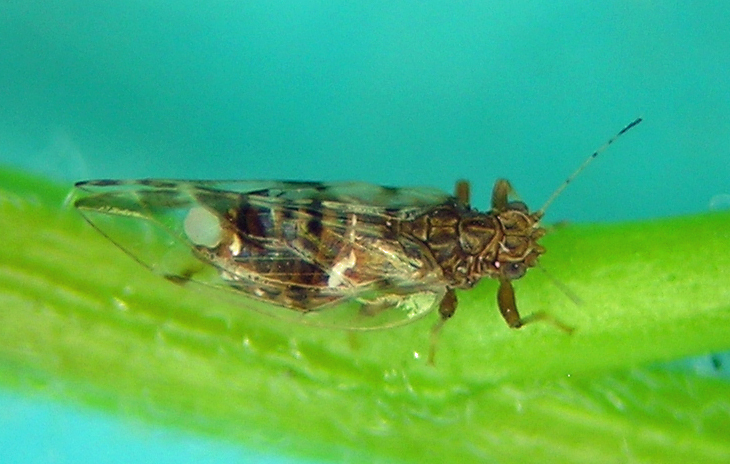 Since I first found it, I have reared it in my pasture in a field cage, I have collected it first thing in the spring on the newest growth of Convolvulus arvensis (field bindweed), to collecting this psyllid outside Salt Lake City while caught in a traffic jam caused by a man-hunt for an escaped criminal. I love the long-stemmed eggs. The maculations on the wing are exactly as in the original description, which is always great to see. One thing I notice in the field is eggs in the apparent absence of adults. Bactericera maculipennis nymph from southern Idaho. The adults seem to lay eggs and move along. 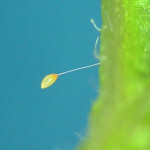 Also, the eggs seem to take quite a while to hatch and the nymphs are very dispersed on the plants and seem slow to develop. Nonetheless, there are at least 2 generations per year in western Idaho. I now have this species from Utah, Idaho, and Washington. 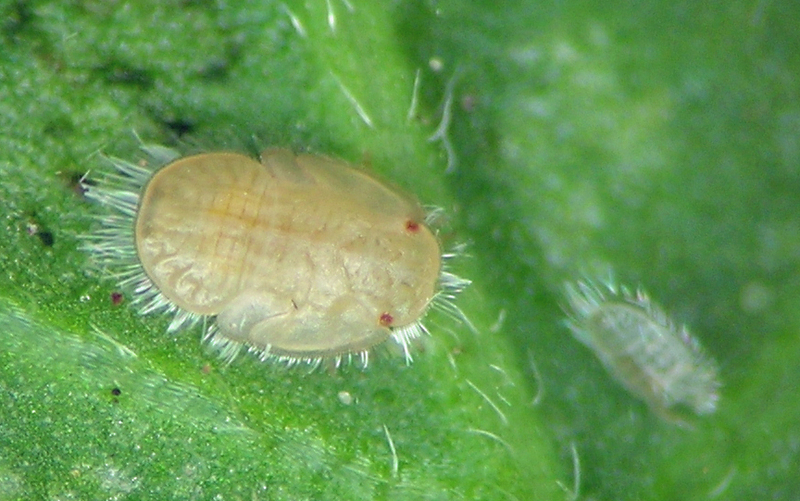 I find it in the sage brush steppe habitat that has been disturbed enough to allow invasion of C. arvensis. More than likely the original host of this species was one of the native Convolvulaceae in western North America. Bactericera maculipennis adult from our former house in southern Idaho.